U-SEAL™ is a new high performance, two-component hybrid urethane/acrylic sealer formulated specifically for the decorative concrete industry. 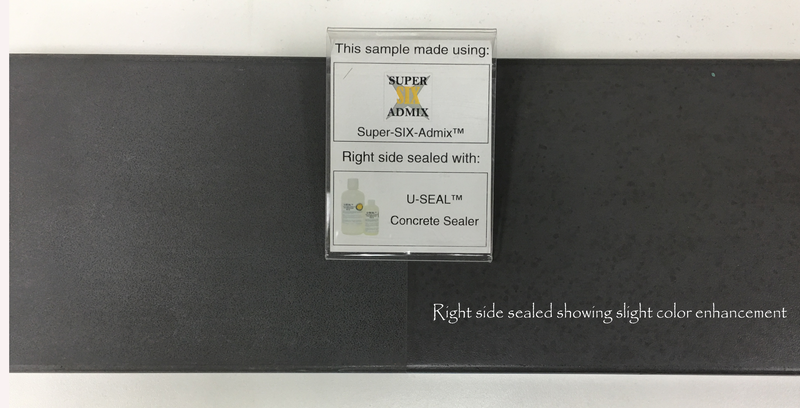 U-Seal is chemically resistant, highly durable, can be used on exterior or interior applications and cures hard within 24 hours of application with full cure in 7 days. 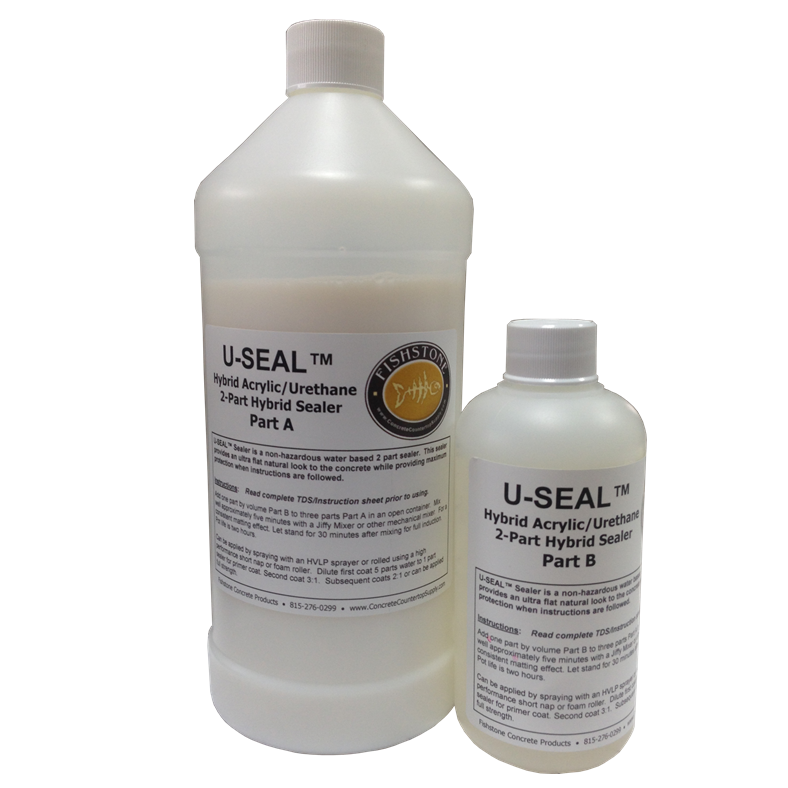 U-seal has performed great for us. Instructions for use are easy to follow and accurate. Application is easy and quick. It has a nice matte, even finish to it. 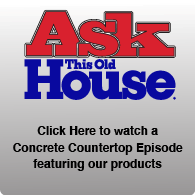 I have applied it in 2 kitchens and 3 bathrooms and it has excellent performance. U Seal has been working out great for out vanity tops and counters. In my shop testing, I took a screw driver and made a good scratch in a piece. With some 220g sand paper, and a reseal, the piece looked great. 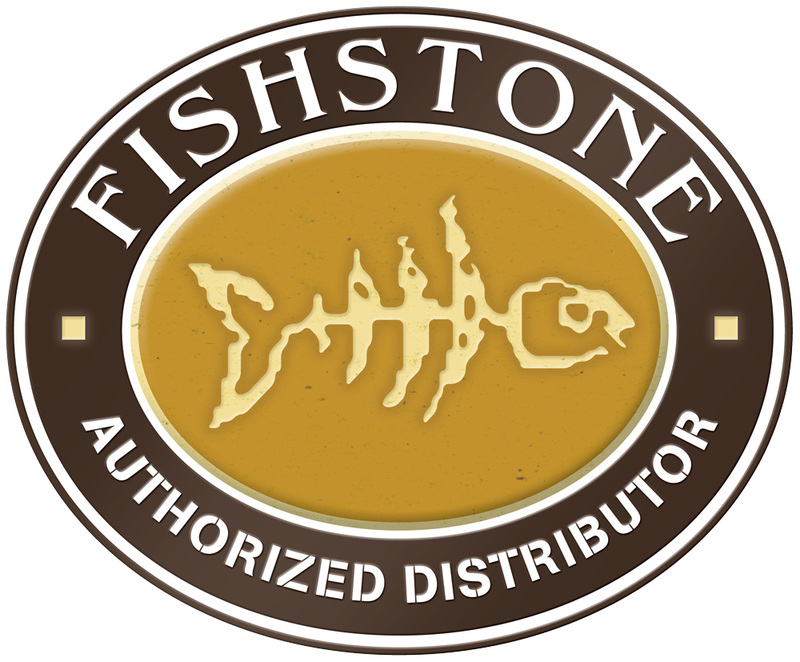 Thanks Fishstone for another great product. Great product. I have used this for over a year now and had zero call backs. Super nice finish. 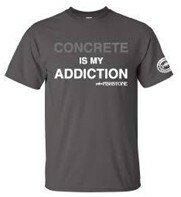 U-Seal bonds well with the variety of concrete /GFRC pieces I've created. I've been real happy with its performance. Thanks Fishstone for recommending it and making it available!